Transform and roll out! 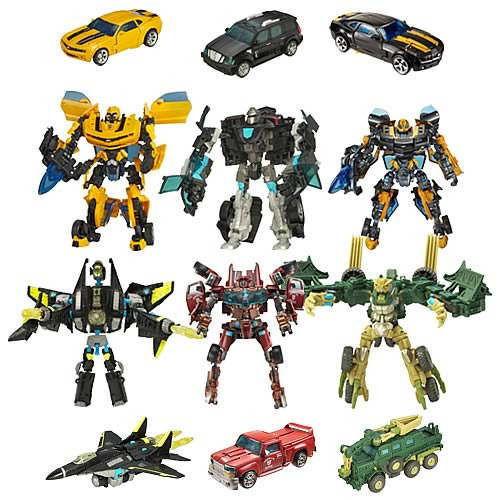 From the first-ever live-action Transformers film, comes this astounding assortment of diverse, multi-colored action figures. This exciting series includes all the robot-to-vehicle Autobots and Decepticons you need to wage your own interstellar battles for control of the home world or this one! Ages 5 and up. Transform your world today with these fun-tastic collectibles!